The high level development of economic relations between Azerbaijan and fraternal Turkey, first of all, gives grounds to say that the unbreakable ties between the two countries make an invaluable contribution to the development of the region, the chief editor of the SES newspaper, political expert Bahruz Guliyev told Trend. He was commenting on the opening of the Star oil refinery in Turkey. He noted that the strengthening and further expansion of relations of Azerbaijan with a reliable strategic partner Turkey in the current geopolitical conditions is also an important component of Azerbaijan’s foreign policy. "The mutual visits of the heads of state and government of both countries, as well as senior officials in the fields of economy, trade, science, education, culture and other fields, play a significant role in the development of bilateral cooperation. 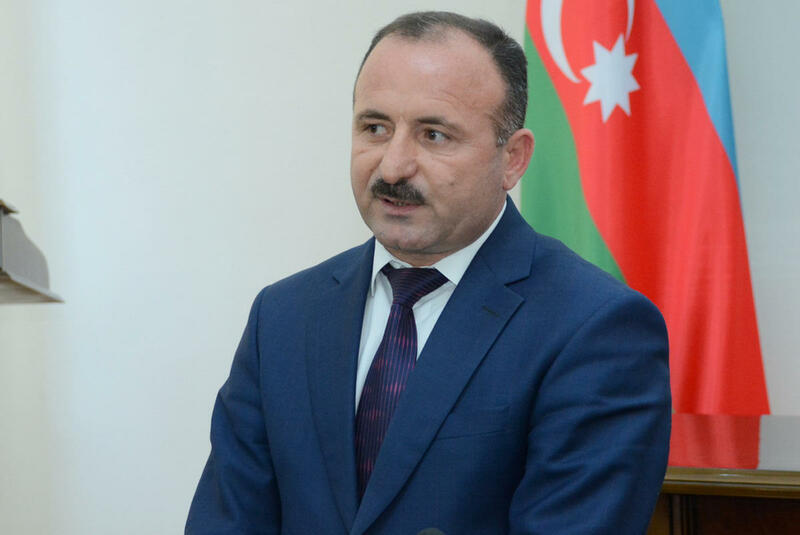 Relations between the two countries, successfully developing in all areas, contributed to that the relations of fraternity and partnership have reached a high level," Guliyev said. He noted that, in general, an even deeper strategic partnership with Turkey is important for both countries. Guliyev also said that the decision to build a gas pipeline to transport natural gas to Turkey along the Baku-Tbilisi-Erzurum route and the implementation of this project, the important role of the North-South energy project, and the implementation of the Baku-Tbilisi-Kars railway project not only contribute to ensuring peace and security in the region, but are also of great importance in terms of improving the welfare of the peoples of both countries. The expert emphasized that the successful continuation by President Ilham Aliyev of the policy, the foundations of which were laid by the national leader Heydar Aliyev, creates favorable conditions for the implementation of new projects and initiatives. He believes that the implementation of the Trans-Anatolian gas pipeline project has also improved the image of both countries in the region and in the world. "After the implementation of the TANAP project, the country's role in the European natural gas market has increased further. This project is a very serious means for ensuring the economic and other interests of Azerbaijan for decades," Guliyev said. The expert said the opening of the Star refinery further strengthens the bonds of brotherhood between the two countries and re-launches energy and transport routes on the map of Eurasia. In addition, he said, Turkey and Azerbaijan are active participants in the process of regional cooperation. Both countries effectively use their economic and energy capabilities, as well as the geopolitical position to expand bilateral and regional cooperation, the expert added. He noted that all these projects are a guarantee of the energy security of Azerbaijan, Turkey and other countries. "At the same time, the expanding cooperation and strategic partnership between the two countries have become an indicator of stability in the region," Guliyev added. The solemn opening ceremony of the Star oil refinery was held in the Turkish city of Izmir with the participation of President of Azerbaijan Ilham Aliyev and President of Turkey Recep Tayyip Erdogan. The total oil refining capacity of the refinery will be 10 million tons, and the Azerbaijani state company SOCAR is the main supplier of raw materials for the enterprise. The refinery will significantly reduce the dependence of Turkey on imports of petrochemical products. Some 1.6 million tons of naphtha, 1.6 million tons of aviation fuel, 4.8 million tons of low-sulfur diesel fuel, 700,000 tons of petroleum coke, 420,000 tons of mixed xylene and 160,000 tons of sulfur will be produced at the refinery worth $ 6.3 billion, built by SOCAR in the Aliaga district of the Turkish city of Izmir, on the territory of the Petkim petrochemical complex.